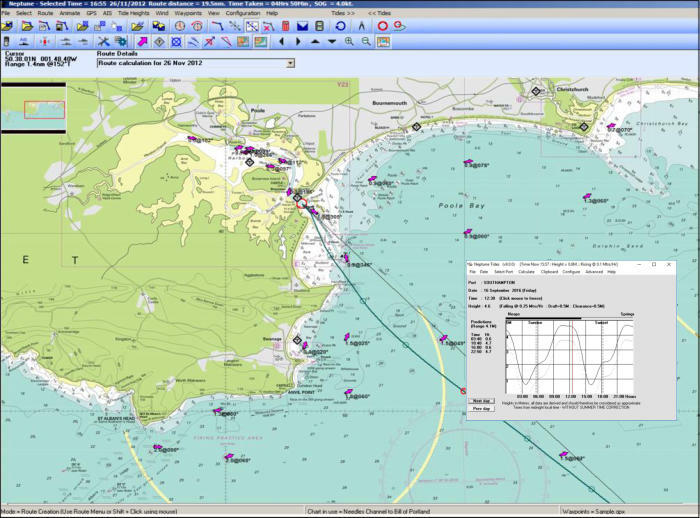 Passage Planning Software is designed for tidal passage planning either on board or at home. 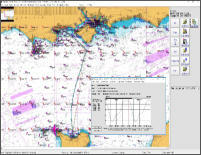 With its in-built tidal data for tidal streams and tidal heights this program calculates "Course to Steer" and the best time to go for tidal situations. 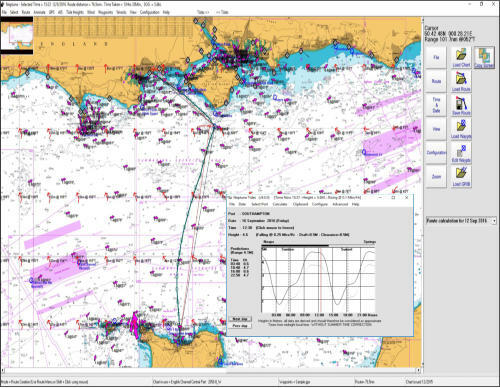 With its ability to import Wind GRIBs you can estimate your boat speed and produce passage plans very easily.Animation enables you to virtually sail the course and identify wind over tide situations. 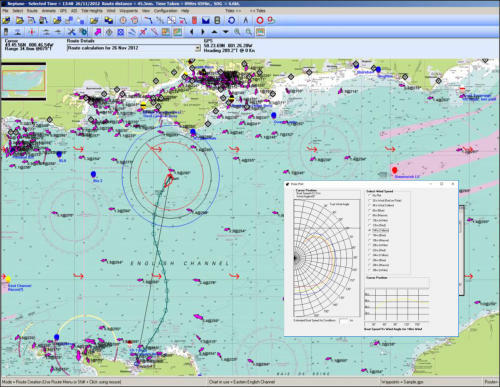 This software also interfaces to GPS and AIS receivers via NMEA 0183 and so can function as a back-up plotter. Version 10 is touch screen friendly and is useful for planning many years into the future. 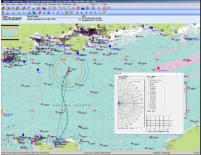 Passage Planning Software is intended for tidal passage planning either on board or at home. 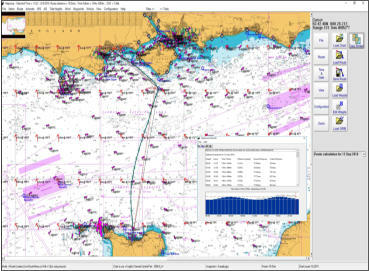 With its in-built tidal data for tidal streams and tidal heights this program calculates "Course to Steer" and the best time to go for tidal situations. With its ability to import Wind GRIBs you can estimate your boat speed and produce passage plans very easily. Animation enables you to virtually sail the course and identify wind over tide situations. This software also interfaces to GPS and AIS receivers via NMEA 0183 and so can function as a back-up plotter. Version 10 is touch screen friendly and is useful for planning many years into the future.